To go above and beyond in providing exceptional client service and to lead in educating and informing clients and the community regarding tax and financial matters including those matters as they affect divorce transitions. 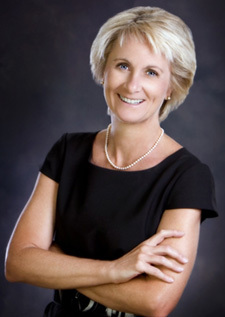 Katherine B. Ashley is the owner of Katherine B. Ashley, CPA, PA located in the Mandarin area of Jacksonville. Katherine’s number one focus is people. She believes in meeting the unique needs of her clients, and operates with the core values of ethics and integrity in every aspect of her business. Providing taxation and divorce support services, it is her firm’s mission to go above and beyond in offering exceptional client service. Katherine has been licensed in the State of Florida as a Certified Public Accountant for over 30 years and has worked in the areas of bookkeeping, audit, and taxation. She has also worked in Mississippi, Virginia, and various cities in Florida for firms ranging in size up to 45 employees. Katherine is a member of the American Institute of Certified Public Accountants, the Florida Institute of Certified Public Accountants, and the Institute for Divorce Financial Analysts. Because Katherine is certified as a Divorce Financial Analyst, she can help give peace of mind during what could be one of the most emotional and stressful times of life. Katherine provides financial counseling and education throughout the divorce process, assistance with forms and documentation, and analysis of proposed marital settlements from their financial impact to their income tax effects. Katherine helps her clients to have peace of mind during this process, and this helps to restore hope and confidence for the future. Locally, she is a member of the Jacksonville Chamber of Commerce, Small Business Resource Network, and has served as Treasurer of Women Business Owners of North Florida. Katherine is an avid Georgia Bulldog football fan and enjoys reading and spending leisure time at the beautiful beaches of Florida’s First Coast. Tammy Huisinga is the administrative assistant with Katherine B. Ashley, CPA. She competently handles most of the day-to-day office matters. Tammy has worked in the bookkeeping field for many years. Her personal standard of precision and attention to detail further enhances the firm’s core values of reliability and accountability. She was born in Jacksonville and has lived here most of her life. She has been happily married for over 25 years and is the mother of four wonderful children. Tammy is a Florida Gator fan. She and Katherine will have fun during football season! 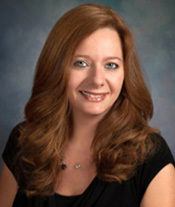 "Katherine is wonderful to work with for all of our tax preparation needs. She is always extremely responsive and thorough in regards to any questions we have and has a seamless process that minimizes the time and effort required to pull together information year over year. Her vast knowledge and experience has helped us in the past identify opportunities that we likely wouldn't have identified ourselves that proved to benefit us for our tax returns!"